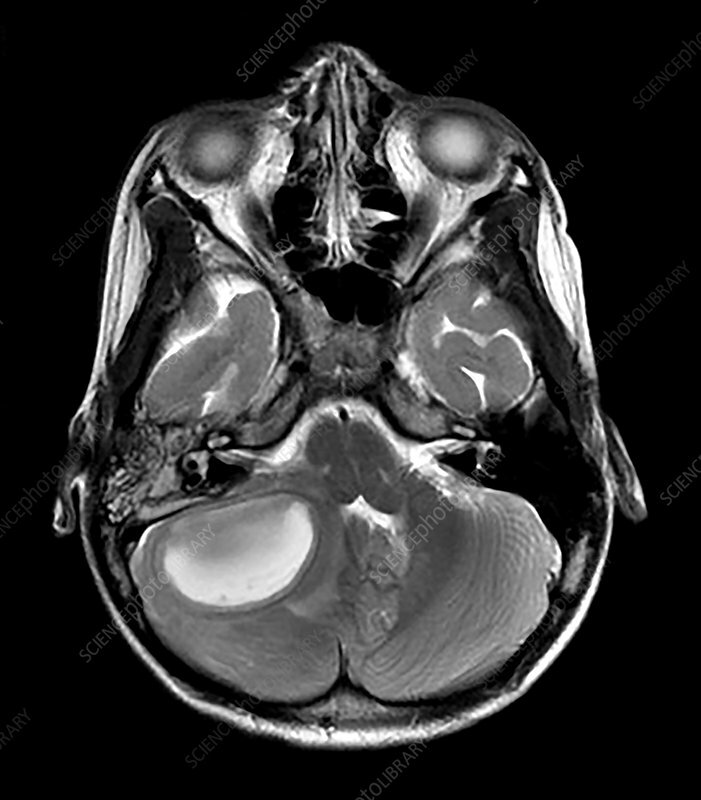 This axial (cross sectional) T2 weighted MR image shows a mass in the cerebellum on viewers left. This reflects a brain abscess secondary to underlying mastoiditis. You can see the surrounding edema and compression of the fourth ventricle.